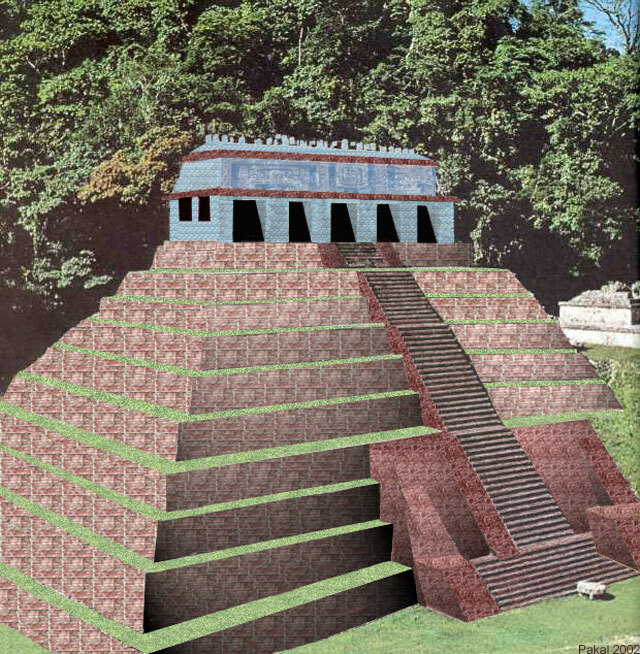 Reconstruction of Lord Pakal's Temple of Ascension as viewed after the King's death. 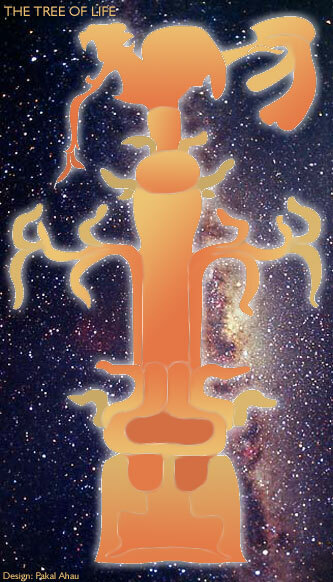 Click the thumbnail to get the actual size. 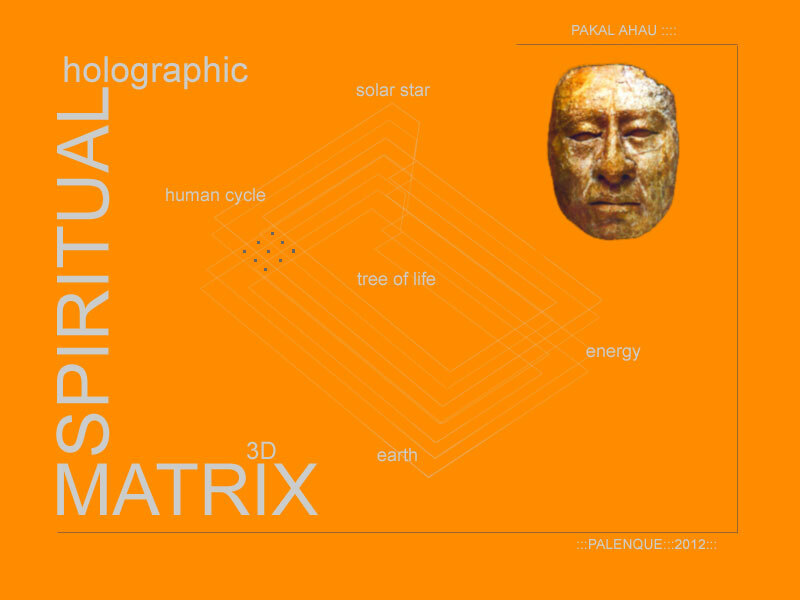 The Mayan Tree of Life, known also as the Cross of Pakal. A great sundial software for Windows 95, 98, Me in different languages called Shadows.